Spring break for a college student is a time of much-needed relaxation, adventures, and blissful freedom from the doldrums of libraries and dining halls. Like traveling to sunny Florida, for example, the quintessential Spring break destination. It can also be a time for something completely different, like service, say shoveling horse manure around hundreds of dogwood saplings. Or stuffing pound after pound of old oyster shells into netted bags. Or testing water for excess nutrients and dissolved oxygen to understand how healthy the ecosystem is that day. Can you guess which trip I picked? How I chose the Chesapeake Bay over the sandy shores of Florida was simple: I wanted to make a difference. I’m an Environmental Science and Conservation Biology major and I was absolutely sick of reading textbook after textbook and paper after paper about how the environment and its creatures are suffering with the onslaught of human activity, and yet not being able to do anything about it. Sure, I’m involved in lots of organizations that work around the University to promote sustainability and I’m a strong advocate for recycling amongst my friends, but ever since I came to college I never felt like I was doing anything that physically, tangibly, and immediately benefited the planet. So when I heard about a program called Alternative Spring Break and saw its list of environmental service trips, I was immediately on board. A little background about the Chesapeake Bay: it’s the United State’s largest estuary, which means its an area where seawater from the Atlantic and freshwater from rivers mix to form brackish water. 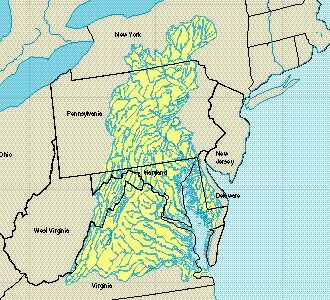 Its about 200 miles long, beginning at the Susquehanna River and cradled by the curve of Maryland until it joins the Atlantic Ocean. The watershed that contributes to the Chesapeake Bay is enormous: six states and 64,000 square miles of cities, forests, suburbs, and farms all funnel their runoff into the bay. Once an extremely productive and diverse ecosystem, the bay that we see today is a mere ghost of its former glory. Captain John Smith’s journal entries from his explorations of the area in the early 1600’s claimed that there were oysters the size of dinner plates, clear waters, and an abundance of now-rare residents like sturgeon and porpoises. Algonquian, Powhatan, and other Native American tribes survived the winters with the reliable source of protein that the oysters provided, which were once so numerous that at low tide one could walk onto the mudflats and collect them by the armful. And speaking of oysters, they are what are known as a keystone species. This means that they are crucial to the normal functioning of the ecosystem and a great number of other organisms depend on them for life. They’re a hiding place for young fish and crabs, a source of food for predators, and most importantly, a filtering system for the bay. In the time that John Smith first paddled those waters, the amount of oysters could filter all of the water in the bay (that’s more than 18 trillion gallons!) in just a few days. It would take the oysters today over a year to filter that much. That’s because the current population is less than 1% of its historic numbers. 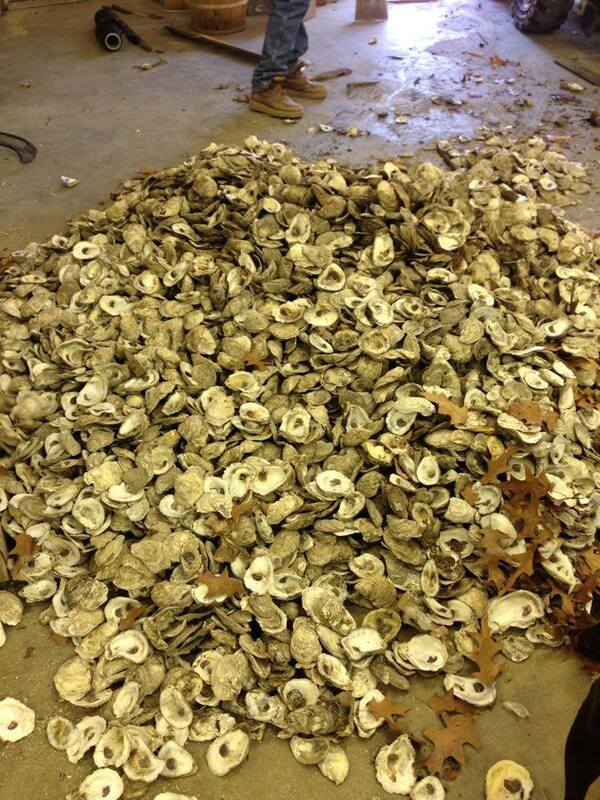 This decline in oysters was due to many factors, including human settlement of the watershed, which resulted in deforestation and erosion, nutrient runoff from farms, over-harvesting, and people not returning the used shells back to the bay. The degradation of the water quality led to a collapse in the oysters and a resulting downward spiral throughout the whole ecosystem. This all sounds like a dreadfully depressing setup, but I’m happy to say that the bay is on an upswing. 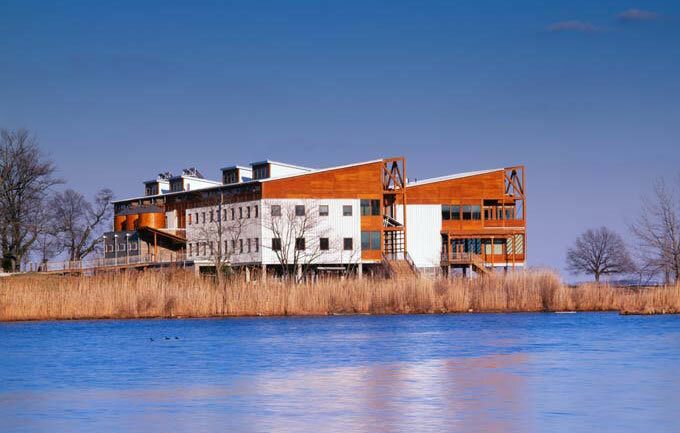 The Chesapeake Bay Foundation has worked tirelessly to make this happen. Founded in 1967 by a group of local fishermen and boaters who loved the Bay and wanted to protect it, the organization has expanded to take on greater roles as a crusader for the Bay. Their pillars of action are education, advocacy, litigation, and restoration. Luckily, my service group got an inside look at all of them. We spent our first freezing day on The Margueritte, the CBF’s floating educational center. Our captains Foster Nost and Tiffany Granberg taught us how to test the water for different chemical characteristics, which they explained was like a health checkup for the Bay. They explained what each parameter indicated and whether our measurements were within the safe boundaries for aquatic life. 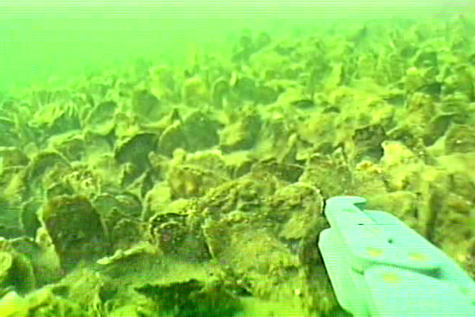 Next, we got to dredge oysters to study them up close and personal. There was something charming about their rough, wavy shells and they way they sealed themselves tightly at the touch of our hands. We were awed by a Chesapeake pearl and marveled at the amount of organisms that came up with the oysters: macropods, little crabs, wriggling worms, and even wispy anemones. There was an astounding amount of life being supported by even this small sample of oysters! The learning didn’t stop there. We spent a few days on Clagett Farm, the CBF’s experimental farm. They worked on everything from organic veggies to grassfed cattle. 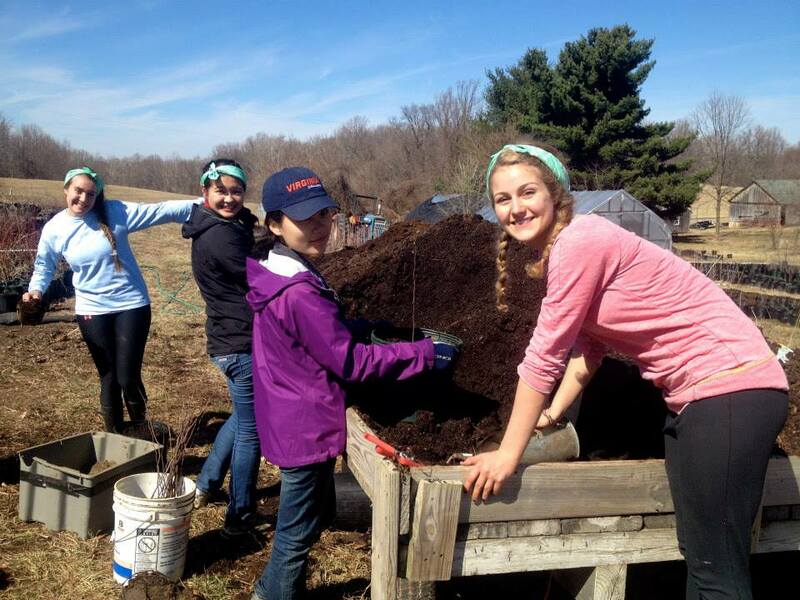 They also tested out all the green tricks you could think of – growing their own soy for tractor biodiesel, composting toilets, mini retention ponds to catch runoff from seedlings. Our job was to pot native saplings for future tree planting events that would help restore buffer vegetation. I’m proud to say that our hardworking group managed to pot more than 600 saplings on our first day! I was so impressed with the volunteers for the CBF that helped us. They were all so intelligent but on the surface seemed like polar opposites. An ex-college soccer player worked alongside a woman who once dreamed of being a construction worker, and a bearded man with a fishhook necklace and ball cap told stories about how crazy Maryland drivers were and his favorite wines. As different as they seemed, what intrigued me was their underlying passion to achieve the same goal: restoring the Bay. This stood out to me because it showed that no matter who you are or what your background is, we can all relate to the desire to save rather than destroy and repair what has been hurt. We spent another day creating plastic oyster cages for “oyster gardeners”, people who would grow oysters off of their docks for a year and then return them to the CBF to be added to the greater Bay population. We then began the arduous task of shoveling old oyster shells recycled from seafood restaurants into mesh bags to be formed into oyster reefs. 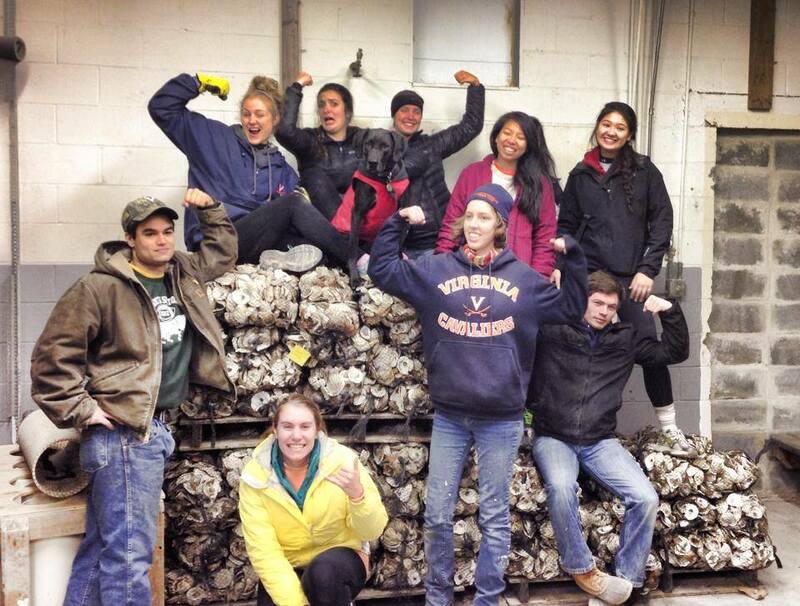 Every part of the process was a physical challenge and I thought of how much money we could save if we all gave up our gym memberships and volunteered to haul oyster shells for the CBF. This part felt like the most direct contribution to the bay because this would immediately help the oysters; the reefs would become a solid place for young oyster larvae, or spat, to attach to and grow. On our final day, we got to speak to a lobbyist for the CBF. We met with her in the wonderful Merrill Center headquarters, a Platinum LEED building with all the most innovative green technologies available (including those awesome composting toilets). She taught us about the legal side that the CBF grapples with. They’ve worked to create a rain tax in Maryland that has helped clean up runoff and made a Clean Water Blueprint that would help reduce water pollution in all the watershed states and ensure they all shared responsibility for keeping the bay clean. Her biggest lesson was a surprising one: remember your voice. In the bloodbath that is politics, it can seem that those who we elected forget whom they’re actually representing. But by raising our political voices and talking to our delegates by sending letters and signing petitions, we can remind them that we environmental restoration and protection is important to us and deserves attention. This is something I had forgotten about, probably because it’s easier to complain rather than take action and I always believed that my voice was too small. But if we all spoke up and demanded environmental protection, no one can ignore us. And that is the greatest message that I learned from this trip: that our collective actions have the power to make great change. Every action we make has a ripple effect. And together, good or bad, they will be amplified. The Bay suffers because people don’t believe or realize that their one little fertilized yard contributes much to pollution. But multiply that yard by thousands, hundreds of thousands, and the result is potent. The same goes for our positive actions, planting a tree or not dumping chemicals down stormdrains: one deed added to another added to another can change the course of the Bay. I am deeply humbled and grateful to be given the opportunity to learn these lessons firsthand, to dig into soil and to grab shells and to close my eyes and feel the power of our actions and know that this is what change feels like. I returned to school inspired and eager to share this story with everyone. I knew that even if I can’t bag oysters every day what I am doing is still worthwhile and I when I contribute my drop to the Bay, I’ll make sure it’s a clean one. Very informative (must have taken some research), interesting, and well-written. Serious kudos.